Marketing and the home industry don’t always get along. It is difficult for people to buy something home-related without having seen it in person, which presents a unique challenge for marketers looking to capitalize on online consumers. From décor to real estate, the home industry is booming; the combination of new channels in the industry, an increasing trend towards sustainability, and a bevy of appealing, affordable products have seen a bolstering of home-related sales. The digital sphere for most home industry companies should serve as an engagement platform and provide supplemental information about the products. In this digital age, making the most of these sales means catering your advertising techniques to reach the widest audience, and there are a few online tactics every company should be using. 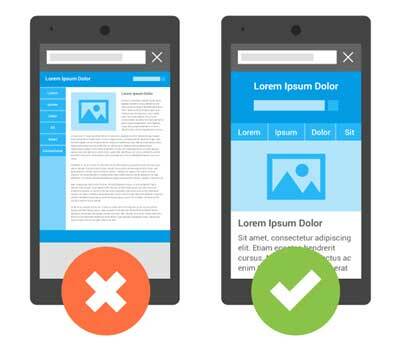 If your website isn’t mobile-friendly, you’re losing out on a majority of business. Taking the time to fully optimize your website for mobile users is more than worth the investment. In 2015, two-thirds of Americans owned a smartphone and that number only continues to rise. Online mobile usage is the most common route in which consumers browse. Google has also indicated that it will favor mobile sites in the near future, so there’s never been more reason to ensure your website features a responsive design. If you want to attract consumers, make sure they can glean the information they need from you succinctly. Make sure your descriptions are relevant and engaging, focusing your efforts on helping your content stand out while maintaining a professional tone. 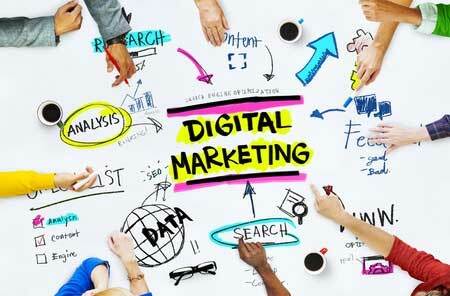 These simple efforts will help your SEO and drive higher levels of traffic to your site. In addition, make sure all of your contact information is up to date on every platform you utilize, with your NAP (name, address, phone number) the same across each website. Google is king in this day and age, and if you want to gain more followers and drive more consumers to your online presence, you’ll need to take advantage of everything Google offers. Make sure your Google Plus page is up to date (even if you don’t use it) and fill out the NAP for YouTube, Blogger, and any other services that Google offers. Even if you don’t regularly use these social media channels , it’s a good idea to have accounts; it will always reflect well on your company if consumers access your site through a Google platform. This is easier said than done, but engagement is far more important than just presenting information. There are two steps to this process; engage locally and engage companies in your industry. Use social accounts (or a few phone calls) to engage with local organizations. People love to ‘buy local’ and if your marketing campaign has a few local spots, rest assured that people will notice. Engagement goes beyond consumers; you should focus some of your efforts on engaging like-minded companies. Through this you can glean valuable information as to what works and what doesn’t. Ask questions, comment on their posts, and talk with them about your campaigns. Most companies (especially a niche home industry company) are starving for engagement and will most likely respond. Use online outlets to help you get out there and meet people. Go to conferences, set up ‘promotion days’ in your community, and partner with local shops and businesses. Putting a personable face to your company name can do your business a huge favor. In addition, the companies you work with can highlight your website or social channels on their own website, thus boosting your organic traffic .and Google rankings. Above all, be honest in your campaigns; in the age of information, people enjoy transparency and want to trust who they shop with. Make a commitment to responding to inquiries—nothing is worse than a company with bad customer service. When people reach out to you on social media or via your website, respond and engage. Even something as simple as ‘thanks for your inquiry, we are looking into it’ will have an effect on your consumers. Everyone has online data these days, but the data itself is worthless unless you can extract information and leverage it to guide your future decisions. If you don’t have the budget for a marketing firm to track your web presence continually, start small and track one or two metrics of a campaign and slowly build up your knowledge. Use email marketing to your favor, but be careful to avoid spamming your consumers. Email marketing still works, but only if the subject and first paragraph don’t look like spam. Online users will look at something for five to seven seconds before deciding to continue browsing, meaning your subject lines and content must be casual and informational, but concise. Every company is different, but it’s important to take pride in your work and build the best business possible. If you want to market your products and services to the greatest advantage, keep these tips in your marketing arsenal and put them into practice whenever possible. Our counsellors will get in touch with you with more information about this topic. GARP does not endorse, promote, review or warrant the accuracy of the products or services offered by EduPristine, nor does it endorse the scores claimed by the Exam Prep Provider. Further, GARP is not responsible for any fees paid by the user to EduPristine nor is GARP responsible for any remuneration to any person or entity providing services to EduPristine. ERP®, FRM®, GARP® and Global Association of Risk Professionals™ are trademarks owned by the Global Association of Risk Professionals, Inc.
CFA Institute does not endorse, promote, or warrant the accuracy or quality of the products or services offered by EduPristine. CFA Institute, CFA®, and Chartered Financial Analyst® are trademarks owned by CFA Institute. We try our best to ensure that our content is plagiarism free and does not violate any copyright law. However, if you feel that there is a copyright violation of any kind in our content then you can send an email to care@edupristine.com. 2019 © EduPristine. All rights reserved. GARP does not endorse, promote, review or warrant the accuracy of the products or services offered by EduPristine of GARP Exam related information, nor does it endorse any pass rates that may be claimed by the Exam Prep Provider. Further, GARP is not responsible for any fees or costs paid by the user to EduPristine nor is GARP responsible for any fees or costs of any person or entity providing any services to EduPristine. ERP®, FRM®, GARP® and Global Association of Risk Professionals™ are trademarks owned by the Global Association of Risk Professionals, Inc.CFA® Institute does not endorse, promote, or warrant the accuracy or quality of the products or services offered by EduPristine. CFA® Institute, CFA®, CFA® Institute Investment Foundations™ and Chartered Financial Analyst® are trademarks owned by CFA® Institute. Utmost care has been taken to ensure that there is no copyright violation or infringement in any of our content. Still, in case you feel that there is any copyright violation of any kind please send a mail to abuse@edupristine.com and we will rectify it.